Find out how to avoid being pregnant with a demon baby! In the film Devil's Due, which is a video-diary/found footage, we are introduced to Zach and Samantha McCall. Zach is always smiling and is just happy to film everything he and Samantha do. Samantha once had a rough past but seems to finally have a bright future with Zach. 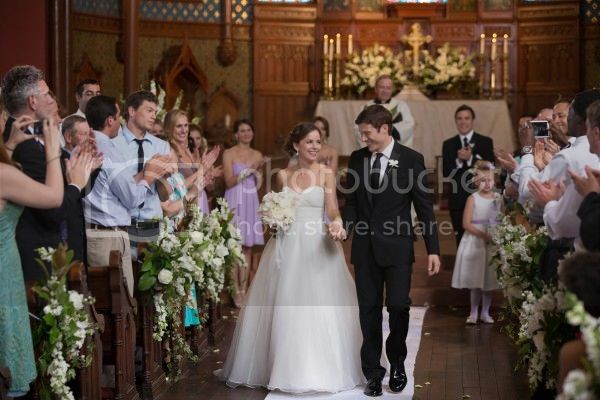 The two newlyweds decide to take their honeymoon in The Dominican Republic. For some unintelligent, they decide that for the final night of the honeymoon, they will party outside of the tourist spot at some cave-looking rave spot that their cab driver takes them too. I didn't understand why they would listen to a random cab driver whom they never met before. He could have easily robbed them and dumped their body off of a cliff, but whatever. The next morning they wake up to catch their flight. They have little memory of last night or how they arrived back at their hotel room. This was one of the first, MAJOR holes I found in the film! If they had no memory of the night before, why not just check the camera since Zach films everything? The newlyweds arrive home to find that Sam is unexpectedly pregnant. Zach is excited to start a family while Samantha doesn't take the pregnancy well. Besides from feeling sick, she finds herself having outburst whenever anyone comes too close to the baby. Overtime, Zach realizes that something is wrong with Samantha and perhaps they even have a stalker, but of course he finds out too late. Devil's Due wasn't a bad film, just a little sloppy with the details. Although I didn't find it scary, I did notice plenty of creepy hints and messages throughout the film. I found that awesome and refreshing that I, a horror veteran, was able to get creeped out! The down side of this film is it comes off like a modern reprocessed, found-footage "Rosemary's Baby". If this film would have came out ten years ago, I would have been impressed. However, due to the constant found-footage and remakes, this film is a bit forgettable. There were way too many holes throughout the film that brought the film down. One major hole aside from the previous one I mentioned are the "villains" in the film. I thought it would have been important to mention or show what these international, satan baby makers wanted. I don't feel like that is too much to ask! 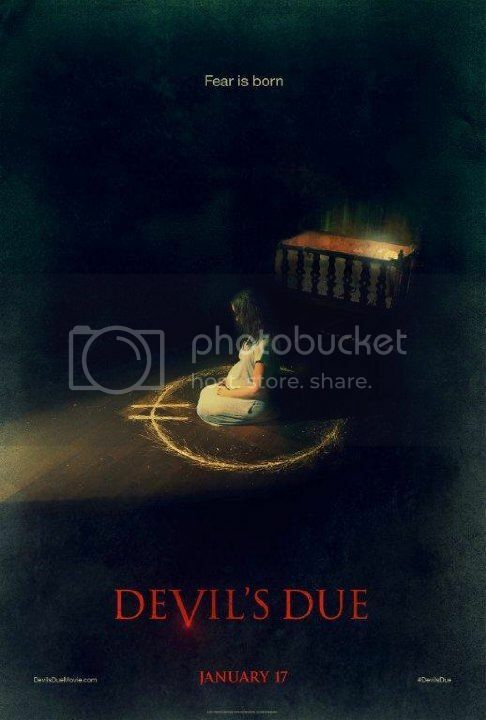 Overall, I recommend Devil's Due if you won't mind that the film isn't scary and that it doesn't offer anything new. On a positive note, you may be entertained for the about 85 minutes! 2 1/2 out 5 queen skulls!